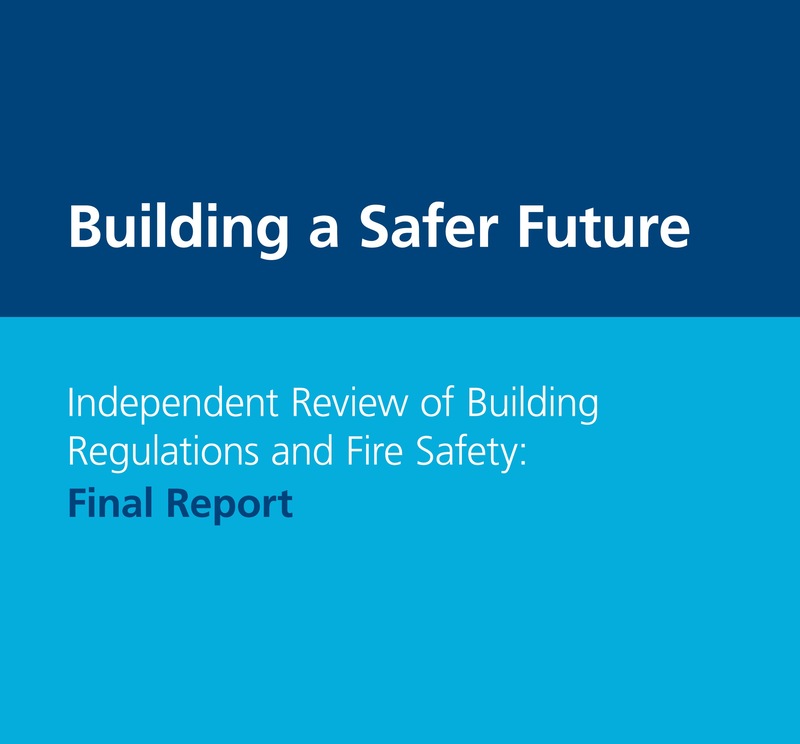 Following months of consultation, Dame Judith Hackitt’s Independent Review of Building Regulations and Fire Safety has finally been released. The industry responds. Announced by the Government in July 2017, a month after the Grenfell Tower tragedy and at a time where the sector was coming under increasing scrutiny, the Hackitt Review aims to ensure a robust regulatory system for the future where residents feel safe to live in high-rise buildings. The 2018 FM Global Resilience Index revealed that the UK ranks 34th in the world when it comes to resilience to fire. Tom Roche, Senior Consultant for International Codes and Standards at FM Global, commented: “While the Hackitt Review provides some clarity over who is responsible for what and when, it’s disappointing not to see a direct call for current technical guidelines to be reviewed. Instead, it looks like the Government will be pushing more responsibility onto industry to ensure building safety. Further to the review, Secretary of State for Housing, Communities and Local Government, James Brokenshire announced that the Government would launch a consultation into banning the use of combustible materials in cladding and insulation systems on high-rise residential buildings. Lord Porter, Chairman of the Local Government Association, responds: “The LGA has strongly made the case for banning the use of combustible materials on high-rise and complex buildings and for outlawing the use of desktop studies that attempt to approve safety compliance. “It is great that the Secretary of State has listened to our concerns. He has rightly recognised the need to take action to tackle these two important issues while the long-term reforms to fix our building regulation system, set out in Dame Judith Hackitt’s report today, are put into place. Calls for increasing the attention on sprinklers also came from other areas of the sector. Mark Larden, UK Managing Director for Geberit, added: “It is disappointing that there were no recommendations made around the installation of fire safety and suppression systems, such as sprinklers, in new or existing buildings — particularly existing tower blocks. The Building Engineering Services Association (BESA) welcomed the findings of the Independent Review of Building Regulations and Fire Safety. It said the committee had made the right call by highlighting the sector’s “systemic problems” rather than focusing on one specific technical aspect. BESA Chief Executive David Frise said: “The Review has identified systemic failings in the way construction projects are designed, delivered and managed. The Chartered Institute of Environmental Health (CIEH) has welcomed the system-wide approach to fire safety contained in the final report and the surprise inclusion of other types of multi occupied buildings — those fewer than 10 storeys — as part of the report. CIEH has been lobbying to ensure that these buildings are included and acknowledged in this pivotal Review. Tamara Sandoul, Housing Policy Manager at CIEH, said: “We strongly welcome the final report and look to the Government to take action quickly in order to make high rise buildings safe places to live in and to reassure occupants that they are well protected from danger. “We are delighted that the final report acknowledges the need to tackle fire safety in other types of multi-occupied buildings — such as large houses badly converted into flats. We shouldn’t ignore issues with fire safety, whether the building is above or below 18ms. We would like the Government to further clarify responsibility and enforcement of fire safety within these types of buildings.